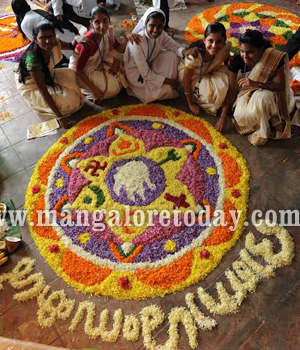 Mangalore, Sep 01, 2014: Onam is visible on the horizon and the feeling is in the air all around, Mangalore colleges which are full of students from just across the border - Kerala! 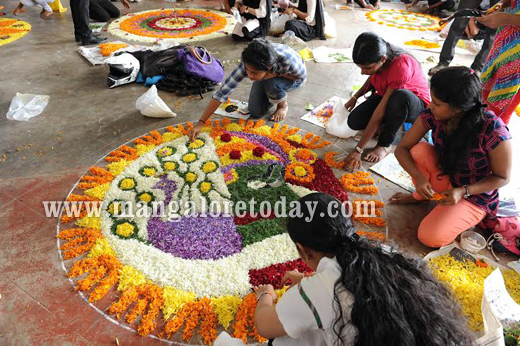 The run up to the Onam day on September 4, has commenced. 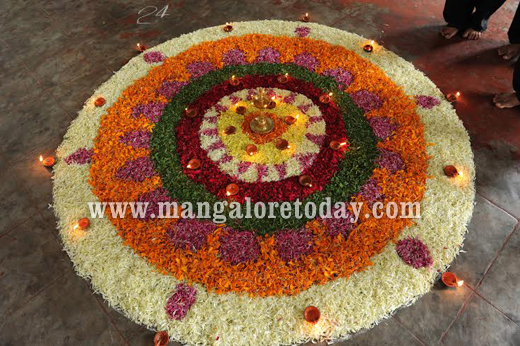 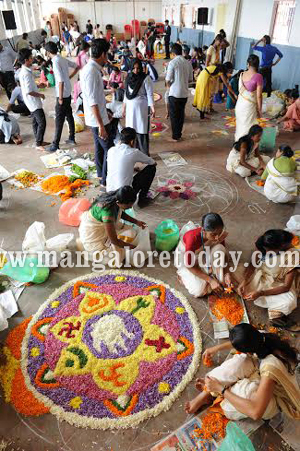 Srinivas College of Hotel Management launched a floral rangoli or ’Pookolam’ competition on Monday September 1, participation was optimum and enthusiasm ran high as can be. 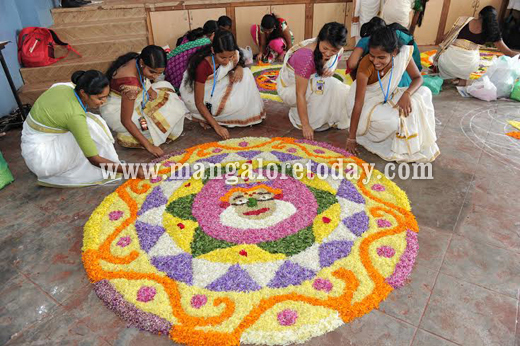 The college was overflowing with festal celebrations students from 25-30 colleges boisterously participating with pro-action in all the facets of the festival traditions with not less than 40 teams each consisting of 5 members for the floral carpet competition alone. 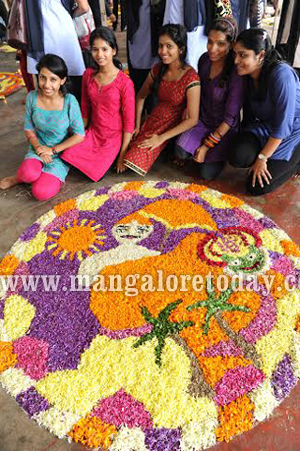 In a first to be witnessed, Laxmi Memorial College of Hotel Management created 40x 20 ft giant floral rangoli, The college spokesman stated hundreds of students across the city had participated with contributed to make the mega floral carpet a reality. 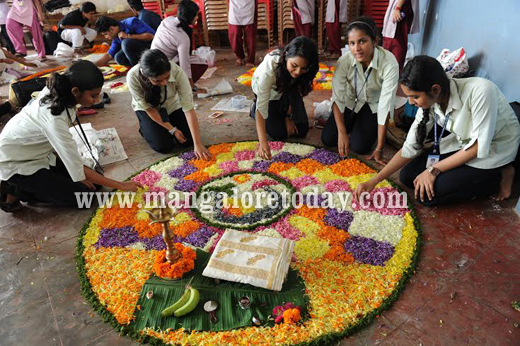 In Mangalore it seems like everything at Onam Is a mega size and students are truly upbeat to say the least so all you citizens get out, don’t mind the rain showers for you will be showered with many blessings in flowers and other wise too.